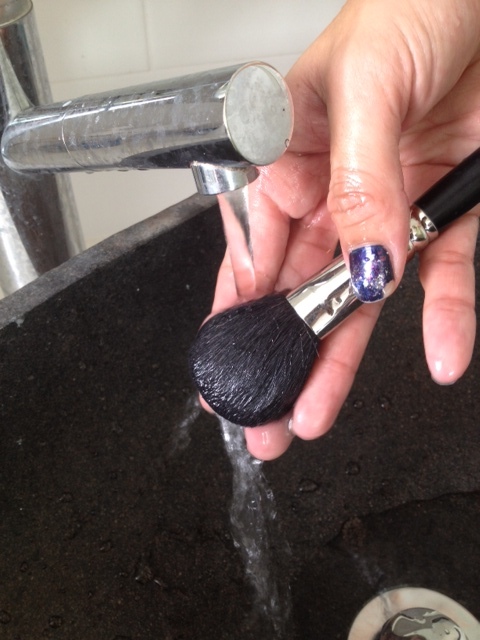 How To Wash Makeup Brushes: A Step-by-step Photo Guide | beauty. bikes. Well, here’s the answer, in pictures! 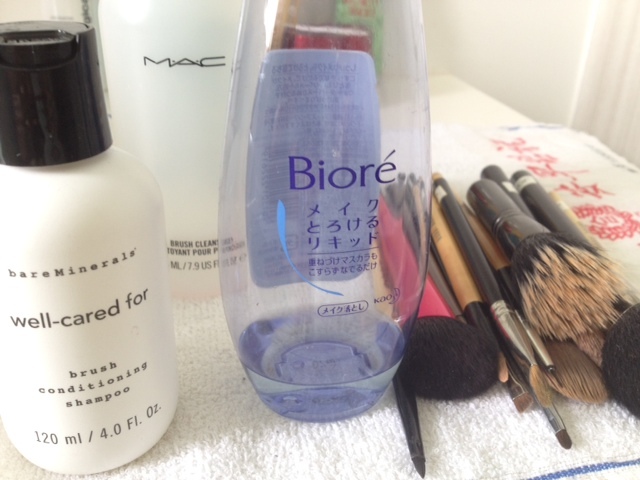 The other blue Biore bottle is the Hydra-Clear makeup remover, which I will use to clean out some hard to remove gunk from my foundation and lipstick brushes. If you do not have a brush cleaner, you can use baby shampoo or a mild soap, although I highly recommend a proper brush cleaner. 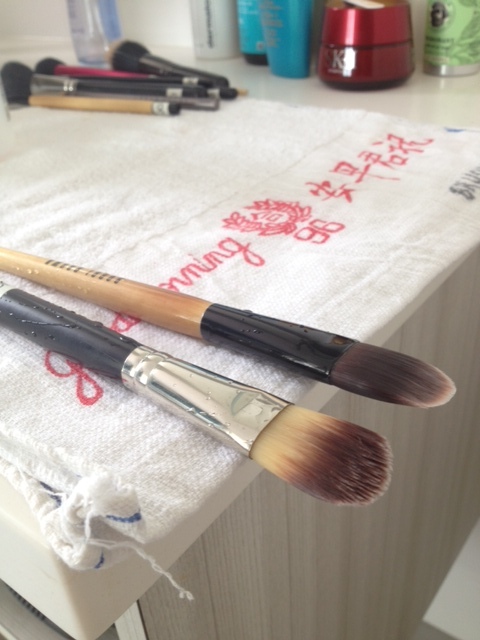 It has kept my brushes going for more than 6 years. 3. Clean towel. As you can see, I am partial to the made-in-china Good Morning towels, available at your local mama shop. If you’re reading this from the US or Europe, I hear these sell at cut-throat prices there. They’re less than a dollar each here. Anyhow… let’s get started. 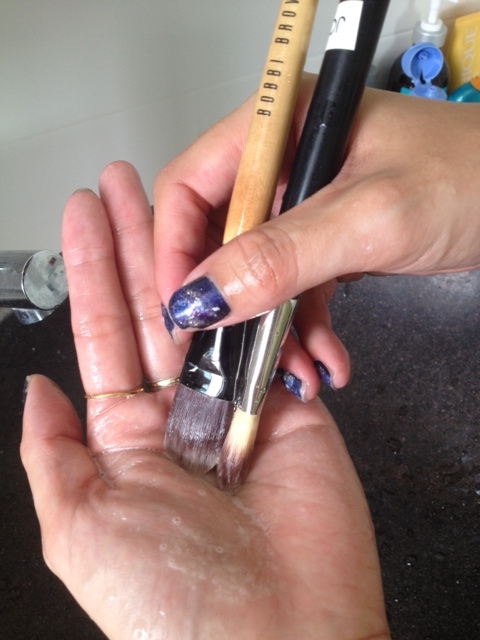 Now, foundation brushes are tricky because sometimes the creamy foundation just refuses to dissolve and wash off in the regular brush cleaner. These steps also work for lipstick brushes. 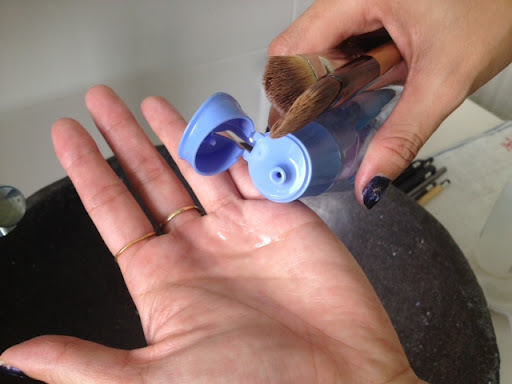 Step 1: With clean, dry hands (emphasis on dry when using water-based makeup removers like this Biore one, so that it doesn’t emulsify yet), pour a teaspoon-sized amount of waterproof makeup remover onto your palm. Step 2: Swirl the foundation brushes and massage the makeup remove between the bristles to break down the gunk and foundation / lipstick (if you’re cleaning your lip brush). 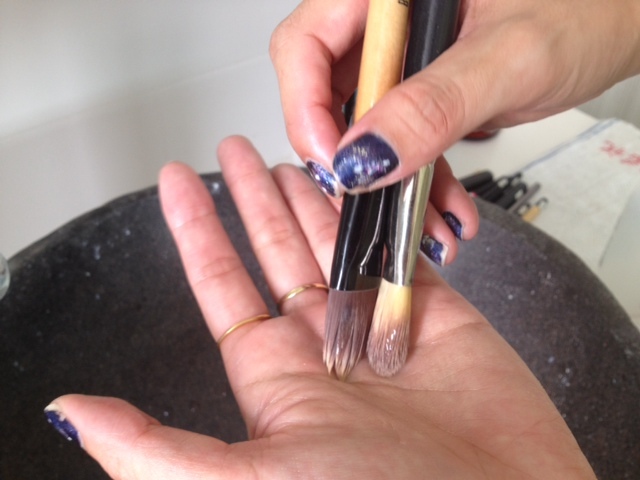 You’ll start seeing the makeup melt off the brushes and onto your palm. Step 3: Rinse the brushes under running water. Here, I am going to state an important point: Always point your brush with the bristles facing downwards, so that the cleaner and water will not get into the base of the brush. Step 4: Pick up your brush shampoo/soap. Pour a half teaspoon size onto your palm. 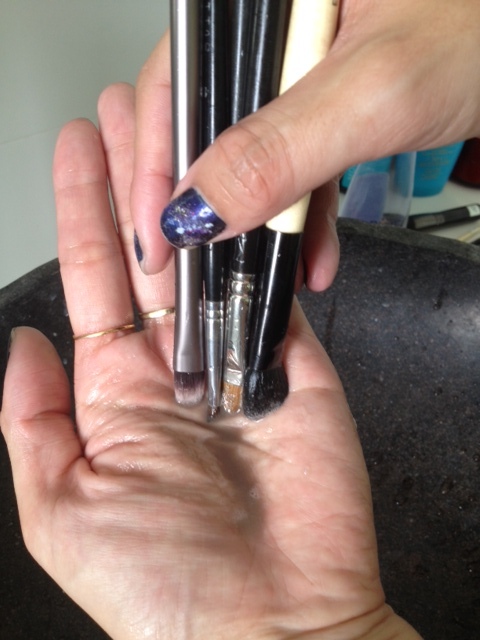 Step 5: Swirl the brushes and get the initial makeup remover out too. The foundation should wash off really easily by now. Step 6: Rinse again. If still dirty, repeat steps 5-6. 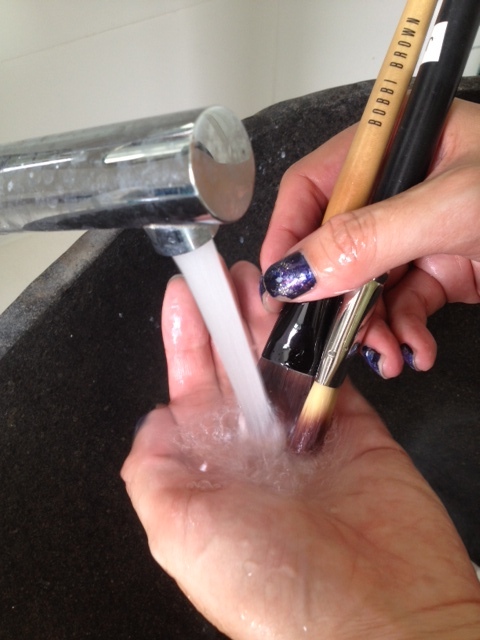 Step 7: This is a tip i got from fellow makeup artist Andrea Claire! 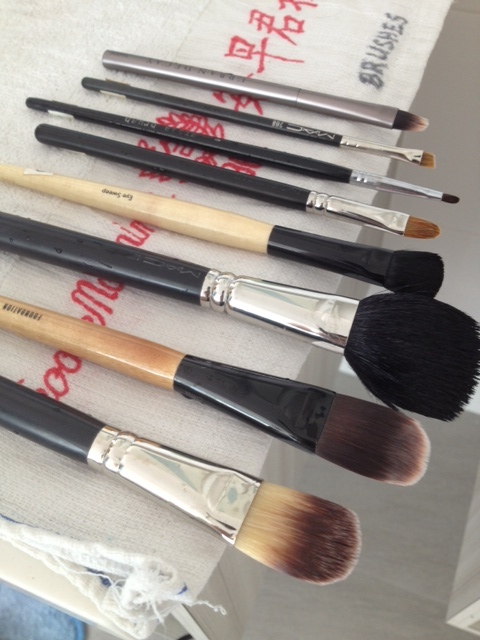 Dry your brushes horizontally, with the bristles hanging off the edge of the table. 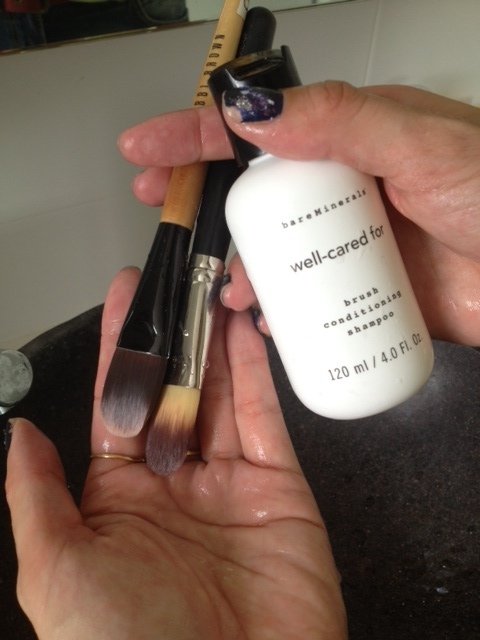 This will increase the drying surface area so your brushes can dry much more quickly. 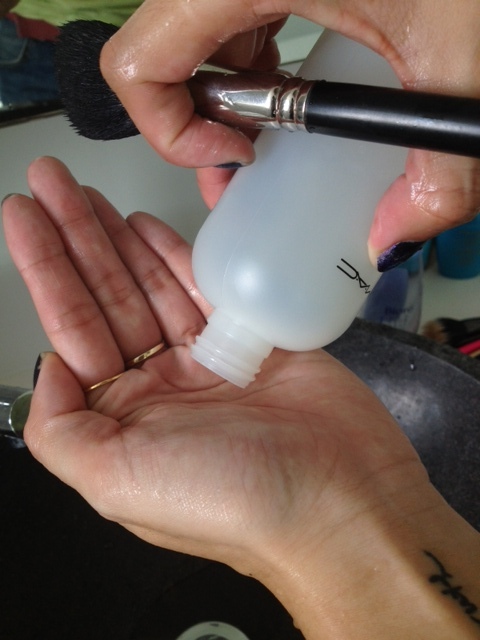 Step 1: Wet brush and pour out a teaspoon-sized amount of brush cleanser (here I am using the M.A.C cleanser, to the last drop) onto your palm. I also like to put it in a small cup sometimes as it is liquid and tends to just drip out of my palm. 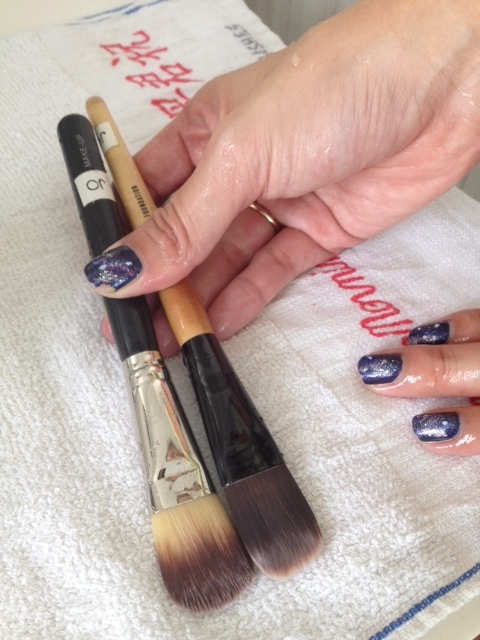 Step 2: With the brush already fully wet, it will lather up well as your swirl it around your palm (or cup). Step 3: Rinse out the brush, remember to keep it pointing downwards. If you rinse it out into a white/clear cup, you can see if there’s still lots of product rinsing out. 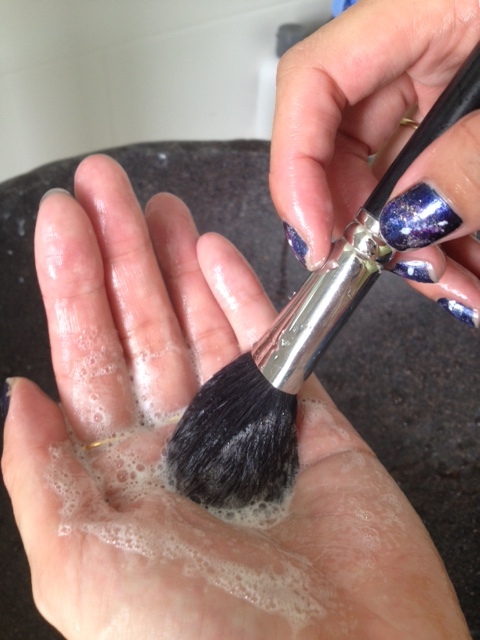 If the brush is not clean enough, repeat steps 1&2. 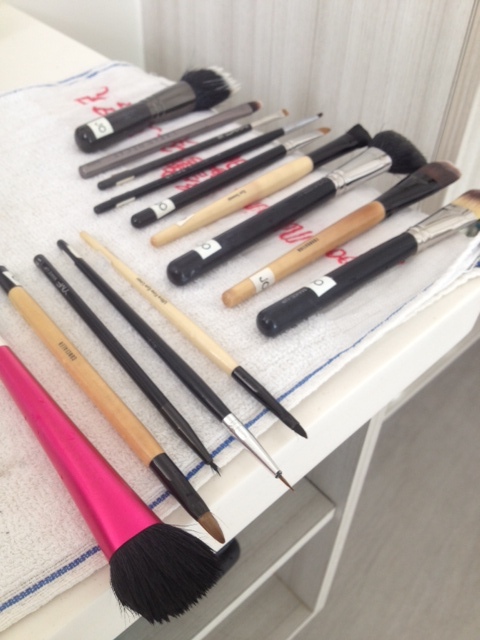 Same for eyeshadow brushes, repeat steps 1-3 as above. I like to wash them in a bunch since they’re so small. Thanks to Mia Tan for helping me take the snapshots while my hands were all soapy! 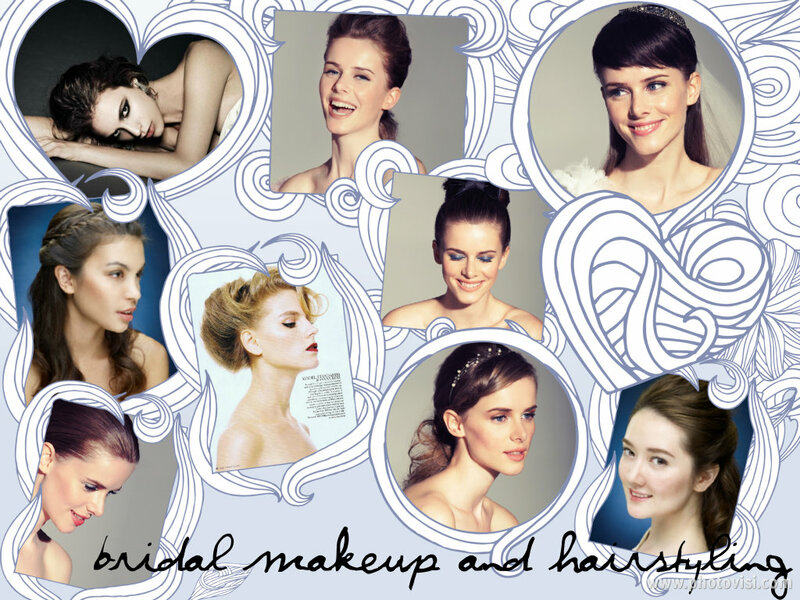 Previous post ← Ready, Jetset, Glow!